Australia’s bus industry has been asked for their input on a discussion paper released by the National Transport Commission, relating to two-axle buses and the current mass limits which apply to them. National Transport Commission (NTC) Chief Executive Officer Paul Retter says Australia’s 88,000 buses are facing an increasing challenge of meeting transport demands while operating within their existing mass limits. "We are looking for considered input to determine whether it is practical and sensible to increase the mass limits that currently apply to Australia’s two-axle buses," he says. "Australia’s two axle buses are carrying heavier loads as a result of utilising more fuel efficient engines and wheelchair lifts, as well as carrying a higher average number of passengers on some popular bus routes and the fact that the average weight of Australian passengers is going up. "This means that it is possible that buses can be technically overloaded even when they are within their passenger limits." The discussion paper explores solutions to address the issue of increasing bus weight, including the possibility of raising mass limits of two-axle buses to 18 tonne across the country under the heavy vehicle national law, encouraging industry to adopt more innovative operational procedures, and developing methods to allow drivers to better monitor the gross vehicle mass of their buses. Under the current system, buses fitted with two single axles are permitted to operate at a 16 tonne gross vehicle mass limit. However, in New South Wales, Western Australia and Victoria, two-axle buses are allowed to operate at an 18 tonne gross vehicle mass limit. Retter says it is important for regulations to be reviewed periodically to respond to emerging issues such as heavier engines, new safety requirements and larger passenger loads. 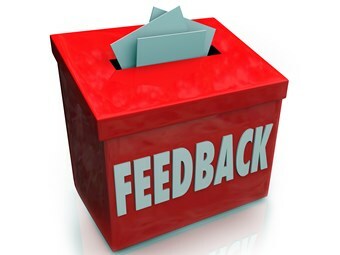 Feedback on the proposed options is invited until submissions close on March 21, 2014.